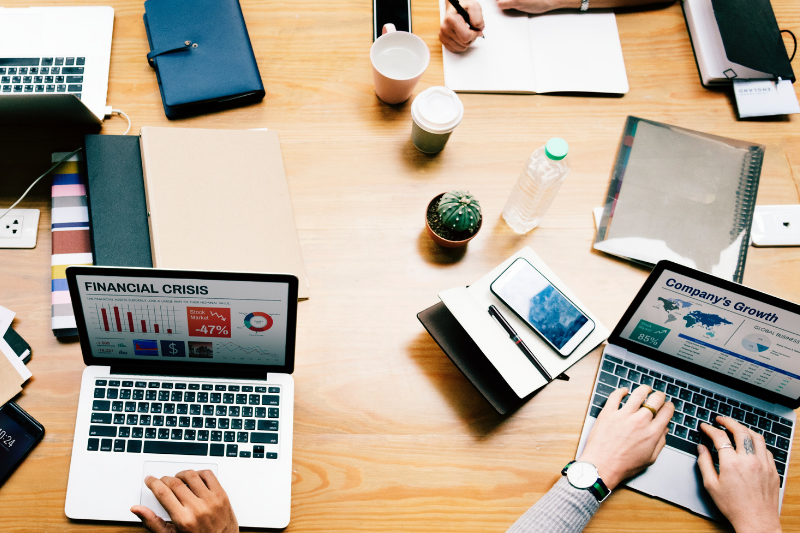 Here we look at the common inter-departmental tensions caused by budget allocation, and how the Head of L&D (or CLO) and Head of Finance (or CFO) can use eLearning to work together on a shared mission – business efficiency and cost-saving. Every department wants the Head of Finance to loosen the purse strings and help them to buy, recruit or invest in whatever will help to boost the performance of their team. While some of that spending must happen, the Head of Finance, quite rightly, has to say no very frequently unless there is a compelling business case. This can create a lot of tension between not only Finance and other departments, but between any departments that are competing for budget. High on the wish-list of many L&D professionals is investment in the latest tech, knowing that elearning changes and improves all the time, and can help them to roll out training faster, better, in a more engaging manner, and with better analytics. But how tangible are those benefits and how quickly will they be seen? How do you justify investment in elearning content or platforms ahead of say, attending an industry event that may help to bring new business in through the door? It’s important to appreciate that while the Finance department is full of smart professionals who will understand that intangibles exist, they have a board or CEO to report into, and you shouldn’t expect them to justify L&D spend with woolly concepts such as ‘engagement’. To ensure buy-in from the Finance department, it’s important for L&D to sell the idea of implementing or improving their use of elearning by talking their language – numbers – and specifically, cost-savings. Ultimately, elearning should not be seen as a cost or an investment – it is primarily a cost-saving tool. eLearning allows L&D to reduce spend in many ways, while getting the job of training and staff development done at least as well, and often better. Numerous studies have shown that elearning reduces training costs anywhere between 22% and 70% when compared with traditional, face to face training. In his book the Really Useful eLearning Instruction Manual (Wiley, 2013), pointed at various tangible business benefits from elearning, including Study Time Reduction of 29%, Speed of IT Rollout increasing by 24% and Efficiency in Demonstrating Compliance increasing by 33% among several other benefits. Numerous studies and articles, including this one, cite lack of professional growth as a top reason for leaving a job. With the cost of replacing a single member of staff earning the UK average of £27,000 estimated to be £11,000 by Accounts and Legal, giving your staff any-time, anywhere learning opportunities on demand can help you to reduce the costs associated with staff attrition. Once created, those learning resources can be rolled to across an entire workforce at virtually no more cost than it takes for a single employee. Traditional training costs increase the more disparate your workforce, as trainers may need to travel, and locations, even accommodation, may need to be booked. As elearning allows delivery of training materials regardless of geography and staff numbers, its efficiency benefits increase with scale. As most employees have now experienced some form of online learning, the learning curve for the medium itself is now negligible for most. Not only can L&D and Finance departments benefit from potentially huge cost savings, day to day operations are less disrupted and productivity will go up as staff can learn during otherwise quiet business times or even outside working hours. Take figures like these above to your Finance team, add context with your own metrics, and elearning can be seen as a huge cost-saving and efficiency opportunity with wide reaching benefits for an entire organisation.